September 16, 2016-New York, NY– Loretta Lynn invites you to celebrate the 2016 yuletide season with the release of her new album, White Christmas Blue, on Friday, October 7. White Christmas Blue will be released on CD, LP and digitally and is available for pre-order now at: http://smarturl.it/ll_wcb_amzn. 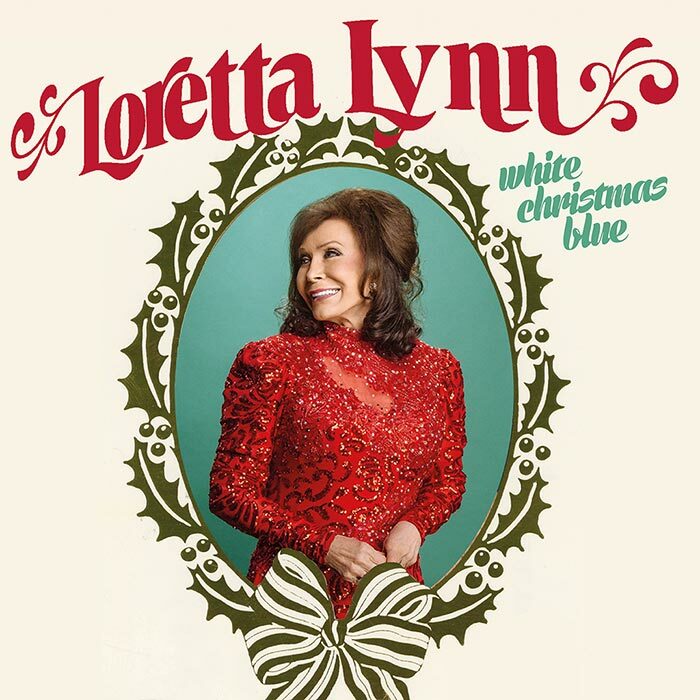 White Christmas Blue is the celebratory successor to Loretta’s first Legacy release, Full Circle (her 40th Top 10 country album and her highest-charting album ever on the Billboard 200). At the time of Full Circle’s release, in March 2016, it had been more than a decade since Loretta Lynn had recorded or released any new studio music. An emotional and personal journey through Christmases past, present and future, White Christmas Blue is an essential addition to any Loretta Lynn library or holiday album collection.